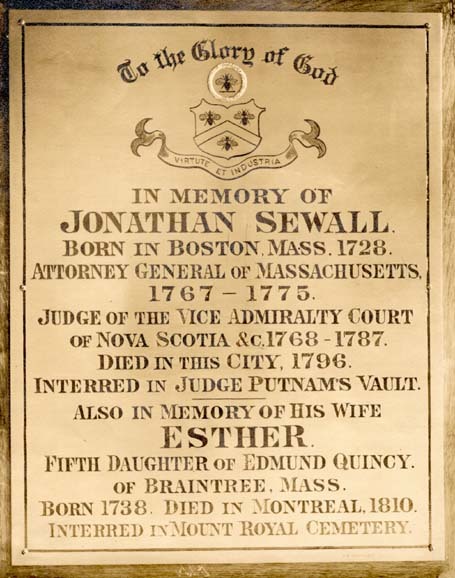 Jonathan Sewall was the last Attorney General of Massachusetts before the American Revolution. Trinity Church, St. John N.B. Click to return to Jonathan Sewall on the Sewall / Sewell Page.